Canada turns 150 July 1st! 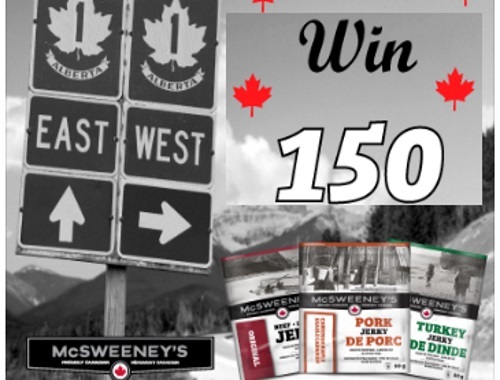 To celebrate, McSweeney's is giving one lucky fan 150 bags of delicious jerky. To enter just like their page and tell us what makes you #ProudlyCanadian to enter. Winner will be chosen at random Friday June 30, 2017.